NUMERO' RECONSTRUCTING CREAM WITH OATS It deeply ..
Conditioner Nardis for Colored Hair 1000ml. Leave-in Conditioner Two Phase Nelly Bifasico 400 ml. With enriched formulas that smooth and detangle hair without making it sticky. - Instant Two-Phase C.. 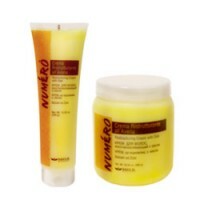 Cream conditioner conceived to treat and restructure hair. Its active and repairing conditioner rep..
Αντηλιακό Spray Μαλλιών 300ml Αντηλιακό μαλλιών σε spray με κερατίνη. Παρέχει προστασία στα μαλλι..